Material life is either a balanced experience, or an imbalanced one, but they both take place on the material stage of perfect balance. The blessing, or the curse of the experience of life, is not in the nature of what is experienced, but in the nature of the perception of the experience. Without the influence of your perception, this material universe is perfectly balanced. Known to the masters as ‘shunya’ . . . ‘balance-point’ . . . ‘the middle path’ . . . the entire universe thrives on this balance. Tension, pressure, stress and friction are the bonding forces . . . they existed before existence existed. They maintain this perfect ‘balance-point’ in the ‘big picture’. Imbalances occur in the 'details' so that movement can take place, and movement can be chaotic. This is the origin of the saying: “The devil lives in the details.” When the details of motion are removed from the context of the larger picture, they can appear to be out of balance, but the reality is that the bonding forces exist everywhere as a balanced system holding matter and movement together. Without this, there would be no physical reality at all . . . it would simply be randomness within nothing. When you feel pressured, or stressed . . . when you experience tension or friction -- there’s an imbalance in your impression of the expression, or in the expression of your impression. This takes place within you, not outside of you. In order to re-experience the balance that is, you must remove your conclusions . . . alter your impression by gathering more of the ‘picture’ until the balance -- that is always there -- reappears. 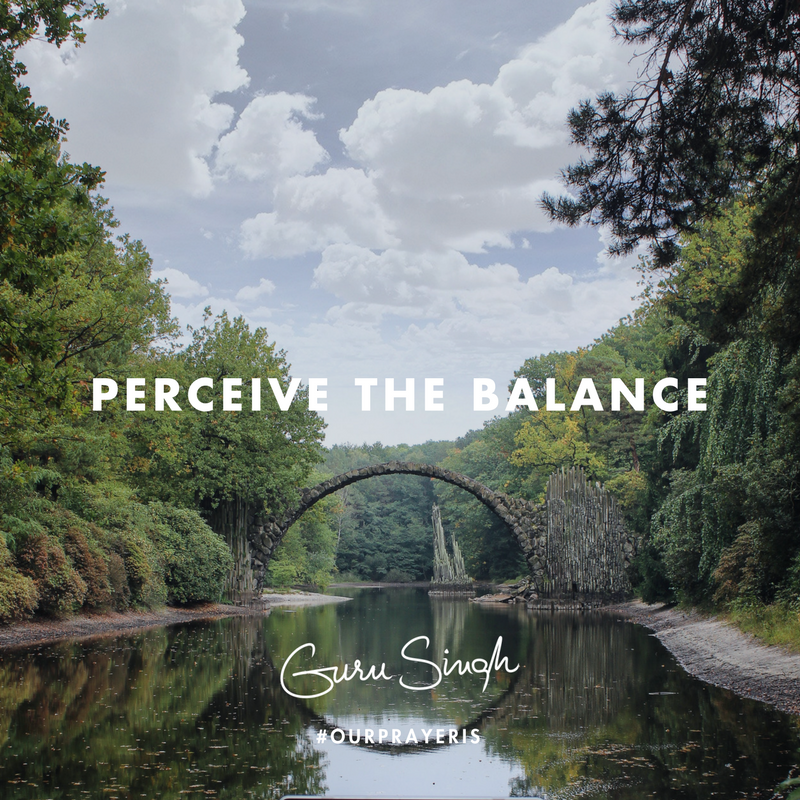 Our prayer is that you realize your experience is managed from the perception that’s inside, not the performance on the outside; that you understand that balance is always there, not something you must create, and that you allow this balance to be your path to great achievement . . . and when it isn’t, expand your impression and your expression until it is.